For this 2014 edition the chart has been fully updated using revised depth data where applicable. 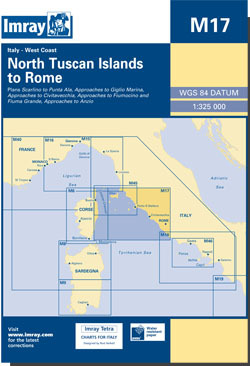 Harbour developments are shown at Giglio Marina, Civitavecchia and Fiumicino. The full list of recently deployed AIS transmitters are shown across the chart.